So, where’s the campaign money going? 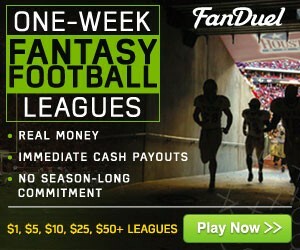 In a state that usually pits politicians against citizen’s choice, the State of Alabama is considering legislation that will legalize, regulate and tax fantasy football. Republicans have presented like bills in both the Alabama Senate and the Alabama House this month. According to the Alabama Political Reporter either HB56 or SB 114, if passed by the legislature, would require any firm wishing to operate a fantasy business to pay $25,000 to the state for the first year operating license and pay seven percent of their profits. Firms operating without a license would be subject to additional fines and penalties. Some legislators have said they fear that the legislation, which would legalize “games of skill” versus “games of chance,” would open up gambling in the state. 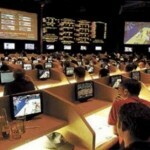 Has Alabama ever had gambling? You bet. Alabama has had pari-mutuel wagering since the early 70s, which originally began with greyhound racing-a business that once flourished in the state. Thoroughbred racing came on the scene in 1987 with the opening of the Birmingham Turf Club. Poor management forced the closing of the track after the first season. After being owned by other parties the Birmingham facility was eventually purchased by Milton McGregor, the owner of the state’s most successful greyhound track named VictoryLand. Birmingham ran mixed greyhound and thoroughbred meets for four seasons but then dropped thoroughbred racing. VictoryLand is located about twenty miles from the state capitol of Montgomery. Around the turn of the century the Poarch Creek Indian tribe (PCI) opened up casino operations in two parts of the state with locations near the Florida line and two facilities less than ten miles from Montgomery. Over the years PCI has freely operated electronic bingo machines without government interference and without paying taxes to the state. VictoryLand initially benefited from a constitutional amendment that allowed it to offer the same electronic games as PCI. The injection of taxable revenue into VictoryLand helped prop up its greyhound track – for a while. But in the last five years Alabama’s political corruption has escalated to the point where the state will rival or surpass any other state in the nation. McGregor had been a political contributor to both parties in the past but was known for supporting democrats more than republicans. McGregor paid the price when former republican Governor Bob Riley, one that was not a beneficiary of McGregor campaign contributions, illegally raided VictoryLand before leaving office claiming that the track’s machines were illegal. Oddly, the same machines were being used by PCI at its locations at the same time. VictoryLand re-opened after Riley left office believing it was on solid ground. But republican Attorney General Luther Strange illegally raided VictoryLand and confiscated cash and electronic bingo machines in the process-identical machines were being used at PCI locations when the raids took place as later proved in court proceedings. Strange has not been a beneficiary of McGregor campaign contributions. After many legal fights a state judge ruled against Strange on all legal points with most of his ruling pinpointing the Attorney General’s clear disrespect for the Fourteenth Amendment of the U.S. Constitution. In his order the judge said Strange “cherry picked” against VictoryLand by not enforcing laws equally in the state. Strange has appealed to the Alabama Supreme Court where every seat is held by republican judges led by Chief Justice Roy Moore, who landed national attention as the “Ten Commandments” judge. The passage of the Alabama legislation is in doubt. The republicans hold a super majority and rule every inch of the State House. 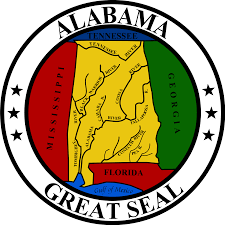 The people of Alabama have greatly softened their positions on gambling in the last few years, but the most notable softening has come within the ranks of republican voters. Those who voted republican have been polled and polled again. The number in favor of a lottery is above 70% and the number in favor of casino gambling is near 60%. Alabama has suffered greatly with its primitive attitude and the people have seen mountains of tax revenue leave the state to lotteries and casino locations that surround Alabama. And while the tax revenue leaves the state the Indian casinos operate inside the state and pay no taxes. Why is this the case in Alabama? As it is often said, “It’s not what is good for the state or what the voters want. 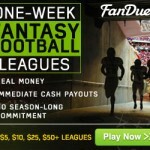 What counts is where the campaign money is going.” If the fantasy sports deal doesn’t pass it probably means that the destination of any related campaign contributions is yet to be decided. 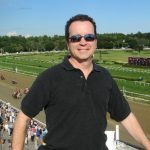 -Art Parker is a regular contributor to agameofskill.com and the author of Keeneland Winning Trainers, which is published twice per year. He is the Managing Editor of The Montgomery Independent, a newspaper in Montgomery, Alabama. The above commentary is his opinion on what is happening in his home state regarding DSF. 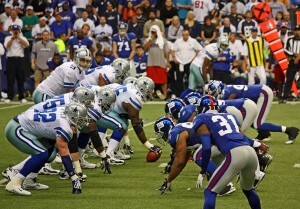 DALLAS – DEC 14: Taken in Texas Stadium on Sunday, December 14, 2008. 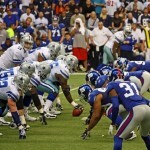 Dallas Cowboys Quarterback Tony Romo waits for the snap from the center. FORT WORTH, Texas—Fantasy sports fans in Texas need not worry. Nothing is changing in the state— for now, at least — with the Super Bowl to be played Feb. 7. 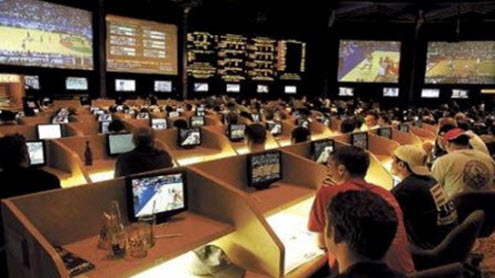 Legislation to limit daily fantasy sports websites in Pennsylvania to those sponsored by the state’s 12 casinos is slated for a committee vote next week in the state House of Representatives.